Today, I'm going to do a quick review on Dove Shampoo and Conditioner! Why? Because every time I take a bath and apply this shampoo/conditioner, I always thought to share it you guys and let you know how amazing it is! Dove products seems to have been around for ages but until very recently I had only ever tried their intensive repair shampoo! 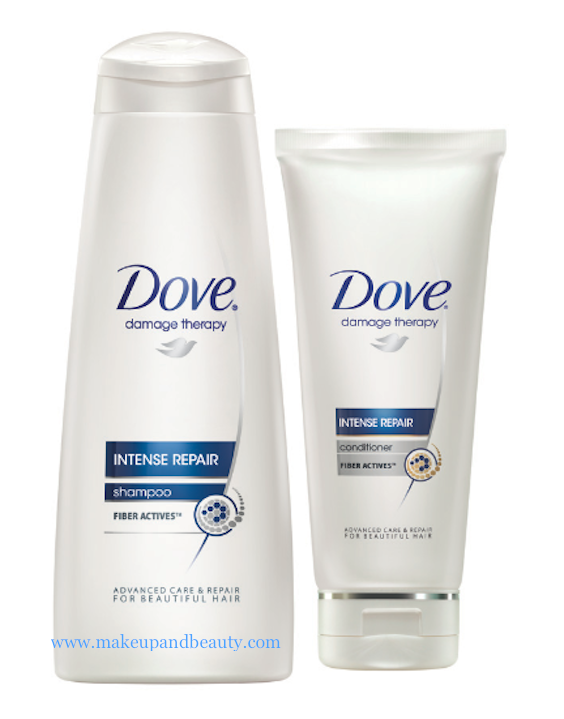 Dove® Intensive Repair Shampoo with patented MICROMOISTURE Serum and Fiber Actives internally reconstructs hair and prevents split ends and breakage. • Fiber Actives deeply penetrate porous hair to help reconstruct it from within. • Formula with patented MICROMOISTURE Serum strengthens and nourishes hair from root to tip. PACKAGING: A very clean, typical dove packaging with easy to use flip top lids, which makes it easy to grip and fast to use which I like. Application and Fragrance: The product smells really great, it’s like a fresh, clean smell. A small amount generates a large amount of foam and You can instantly feel the difference as your hair will become smooth. After Use Effect: Immediately after washing my hair feels soft and smooth. I lose a lot less hair when I wash the product out. OVERALL: This is a great shampoo for dry hair, that won't be too heavy for those with fine hair, but still deliver a whole lot of hydration and reduce frizz in the process. As my sister trying this product, I gave myself a try too. Haha After then, I like it. So I told my mum about it. I used Dove Intense Repair Shampoo and Conditioner because I had a curly hair before and decided to trimmed it out. Actually until now, I still curl my hair too much! Honestly, that made my hair so dry. But not until I tried Dove Shampoo and Conditioner! It really feels good. Even my mum tried it and agreed with me. I would definitely recommend it to you guys! Until here. I need to get ready for my date! It's our anniversary! Gonna share some photos tomorrow! P.S I'm not paid for this review and images from Dove Philippines and MakeandBeauty.